As an educational model, differentiated instruction has been around since the time of Socrates. As a method of providing a classroom of students, often with differing abilities, instruction based on individual aptitudes for learning, it has been an effective alternative to repetitive rote memorization that is still widely practiced in many countries around the world. Today, with the widespread availability of new learning software and platforms, differentiated instruction can take on a revolutionary role under the guise of adaptive learning, and it could alter our thinking about education and the way students learn. In adaptive learning, the more a student interacts with the course material, the more the software adapts to the individual student’s learning strengths and weaknesses — modifying the teaching method accordingly. In this way, adaptive learning provides students with access to more individualized tutoring and with it, its proponents claim, the opportunity for greater student success. What most sets adaptive learning apart from other modern-day learning technologies is that it analyzes the learning history of the student using it and provides interactive adjustments based on their understanding and ability to learn. 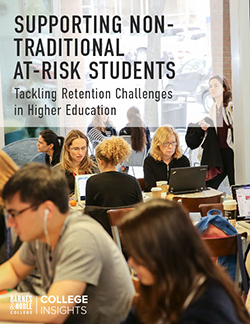 Supporters of adaptive learning say it could be the answer to what has become now known as the ‘iron triangle’ of education’s biggest challenges: cost, access, and quality. Arguably, adaptive learning systems can also provide better access to education. It is perfectly suited to distance learning, for example, while the ability for the material to adapt to the learner’s individual aptitudes has particular value for remedial students. 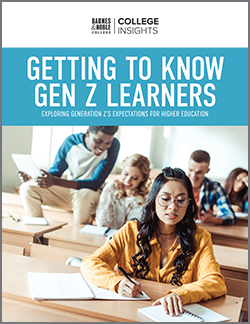 It also arrives at a time when campuses are teeming with ‘digital natives’ — Millennials and Generation Zs — who have grown up with consumer-based interactive technologies anticipating their needs and, that too, may guarantee a higher level of engagement with their lessons. While adaptive learning will have an impact on course delivery, it will also have an impact on how those subjects are taught. 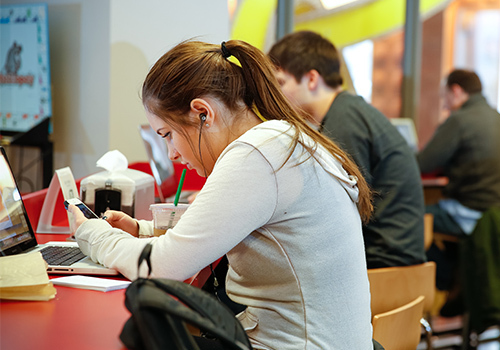 According to a study conducted by Gallup on behalf of Inside Higher Ed entitled, Survey of Faculty Attitudes on Technology, 61 percent of respondents believe that adaptive learning has “great potential to make a positive impact on higher education.” But how do you teach it? Although the technology is programmed to provide a similar interaction to that of a teacher, it still requires an instructor — even if just in a more supportive coaching role. The argument about quality is supported by the fact that faculty, with less time needed to deliver content, can concentrate on at-risk students or participate in one-on-one or small group settings that support the interactive lesson. The learner-centric analytics — personalized data that the software learns about each student — can also provide not just the professor, but the students themselves, feedback on their particular learning strengths and weaknesses as a further measure of student success. Though adaptive learning is not new, interest has gained momentum with a slew of technology providers now flooding the Ed Tech market. Weighing in as big supporters of the idea, The Bill & Melinda Gates Foundation has convened the “Personalized Learning Network,” which has brought together institutions to discuss the potential of adaptive learning, particularly for low income and disadvantaged students. If this is the beginning of the revolution in education, it will undoubtedly present the biggest change in learning since those Socratic teachings.